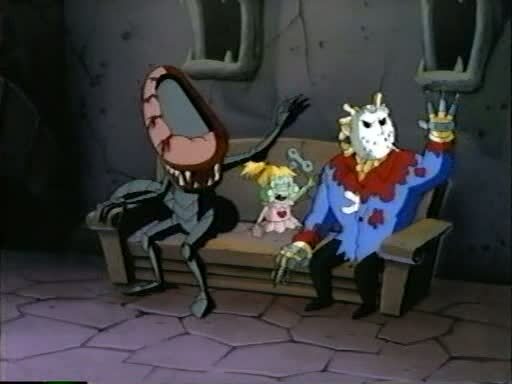 Having a job and being an adult has made watching Halloween specials an awful lot more difficult. 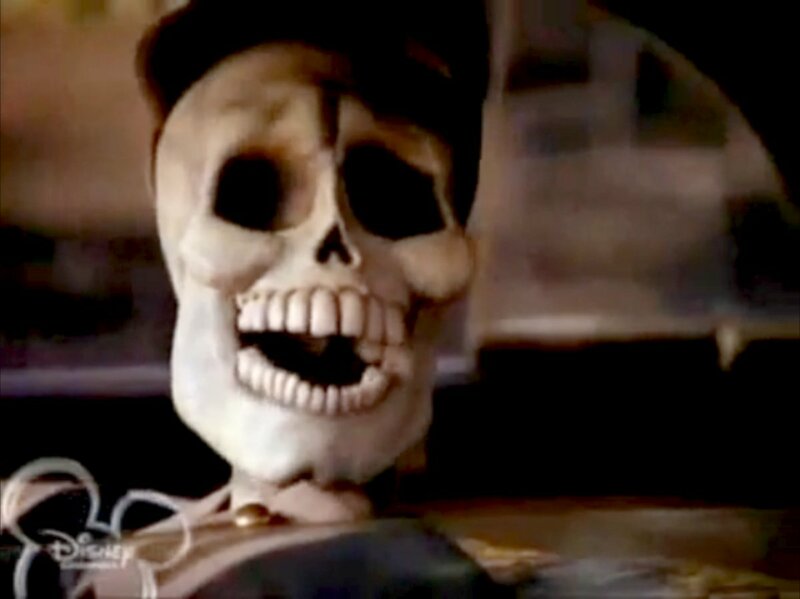 Thankfully, the vcr and dvd player were invented, so for the most part, just about every Halloween special I’ve enjoyed in the past is available to watch at any time of the year. However, that would spoil most of the fun. 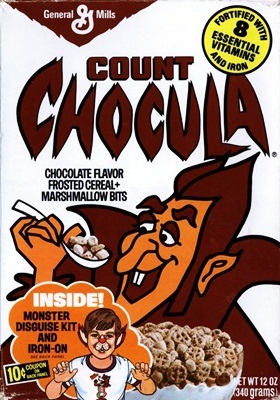 This brings me to the list for today…Movies and episodes I remember watching religiously on Halloween, whether it was on live tv or a badly over-watched blank tape. Sure, we’re forced to remember Scrappy Doo, and maybe Shaggy has a random girlfriend in this movie that was never mentioned before or since. 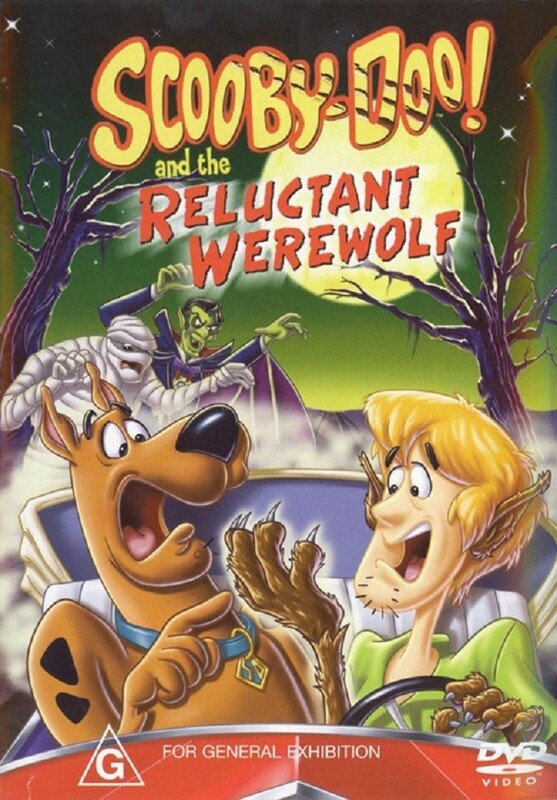 There are a lot of flaws I could point out about this movie, like the fact that it makes absolutely no sense why Dracula wants Shaggy in particular, other than the fact that there was a picture of him in a book, when it may have been much easier just to bribe the original Wolfman to come back from retirement. All this aside, it’s one of the few times Shaggy and Scooby actually get involved with real monsters in their story-line. 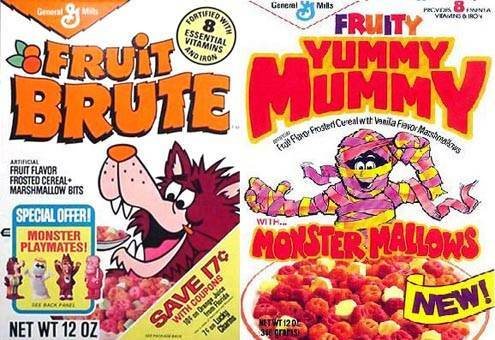 Speaking of which, most of the time it was just Scooby and Shaggy, when it came to the real deal. Maybe that’s why they’re such cowards? Fred, Velma, and Daphne really need to be a bit more understanding, considering all of the actual traumatic experiences these guys have had with the legitimate supernatural. Zombies are nothing when it comes to meeting the real Dracula, or being subjected to cobweb spaghetti. and tries to kill you for doing it. Green skin. 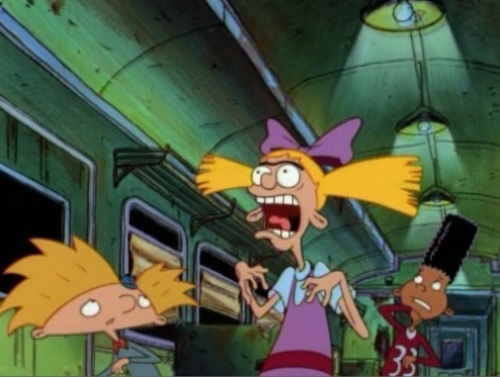 Does Helga have carpal tunnel? 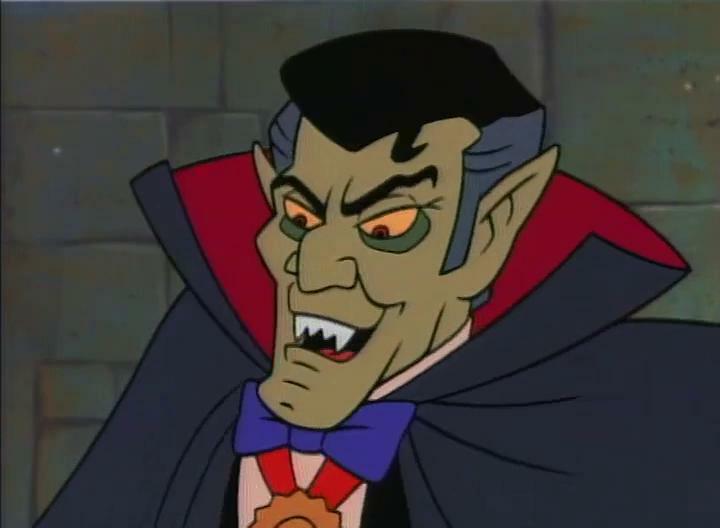 As jaded and bitter I was as a child, from my many years of experience watching all manners of Halloween specials, nothing really ever made me genuinely scared. This one did. I think the trick was the build-up, through the whole episode, where you’re led to believe the train is haunted…and then of course it isn’t…but then it is? 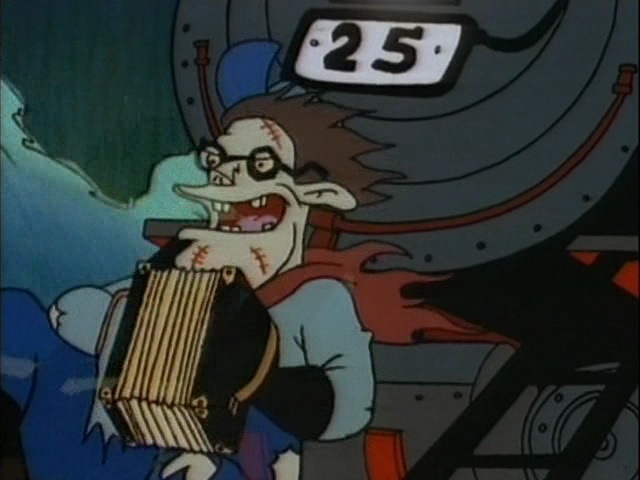 Anyway, this creepy ghost conductor actually managed to give me nightmares for a few weeks after I saw this episode. Good times…good times. that is clearly not a regulation accordion. Looking back on it now, I realize the acting in this whole series was generally pretty bad. 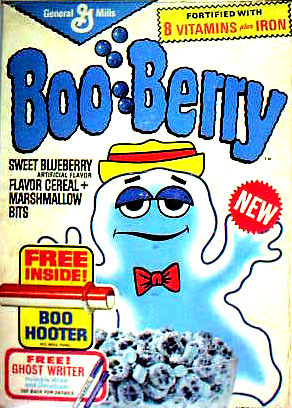 You can’t really expect much from a kid’s show, though, and a lot of episodes managed to still pull off the creepy. That being said, god it was hard to pick just one episode out of an entire series…so I settled on this one. Why? Because any time an adult tries to help you, especially a stranger, and turns out to be a demonic spirit…that’s the perfect recipe for therapy sessions and crippling alcholism in your teenage years. If you aren’t dead by the end of it, that is. He looks trustworthy. I don’t know why you’d doubt him. One of the best parts about a Halloween party, is getting to tell scary stories. That is, if you aren’t an adult, and therefore don’t have regular access to liquor and that there rock-n-roll music. 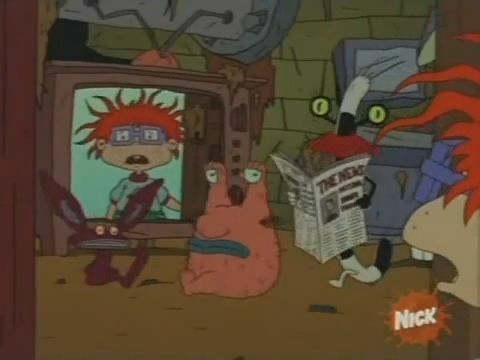 This episode of Rugrats is by far not the creepiest, or even one of the creepiest, but it really is a cute episode to show to kids who can’t handle too much scary. Plus, given that ‘Ahhh! 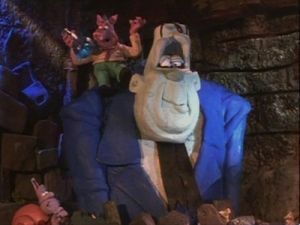 Real Monsters’ had been cancelled for quite some time, this episode was a genuine delight when it aired. But the best part? Minnimal Dill Pickles appearances. He’s the Scrappy Doo of Nickelodeon cartoons. I did not include part 3 here, because I didn’t watch it as a kid, nor did I think it was very good. 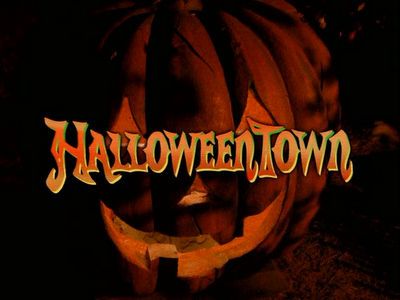 Halloweentown 1 and 2, however, are both absolutely wonderful. You’ve got a teenage girl who knows there’s something special about her family, finds out it’s witchcraft, sneaks into a magical Halloween world with her younger siblings, saves the day by lighting up a giant pumpkin…I mean, that’s what everyone does on Halloween, right? That bit was just part 1. Part 2 manages to tie into it quite nicely, which is something I don’t think sequels always manage, especially the made-for-tv ones. A lot of times, Disney tv films are…really bad. Yet there are those that turn out to be absolutely amazing, and these are two of them. Not to mention how awesome the puppetry and make-up are. Give me that any day over cgi. What’s really fun about these movies is that they manage to take some pretty tired concepts about Halloween, and make them a bit fresher. Also bigger. Much much bigger. Did you get a look at that Jack-o-lantern? I will admit, this definitely is not the creepiest thing these animators have ever come up with. If you’re looking for something by Will Vinton (the director and producer) with a bit more bite, ‘The Adventures of Mark Twain’ may be right up your alley. But this one is a Halloween special, so it suits the list a bit more. It manages to do something odd, by using a character I really hate, and convincing me to not want him to die within the first ten minutes. Even with the annoying porker in mind, and a story-line that I think could really do with some serious editing, the animation itself is just fascinating to watch. Stop-motion can be beautiful, it can be creepy, it can be good and bad, but rarely is it so smooth. 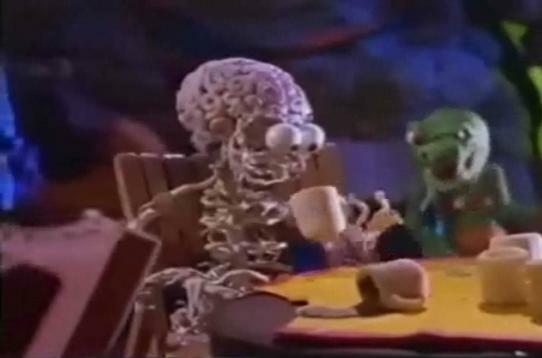 The quality of Will Vinton’s work always seems to move so fluidly, that no matter what the subject is…it’s always freaking creepy. 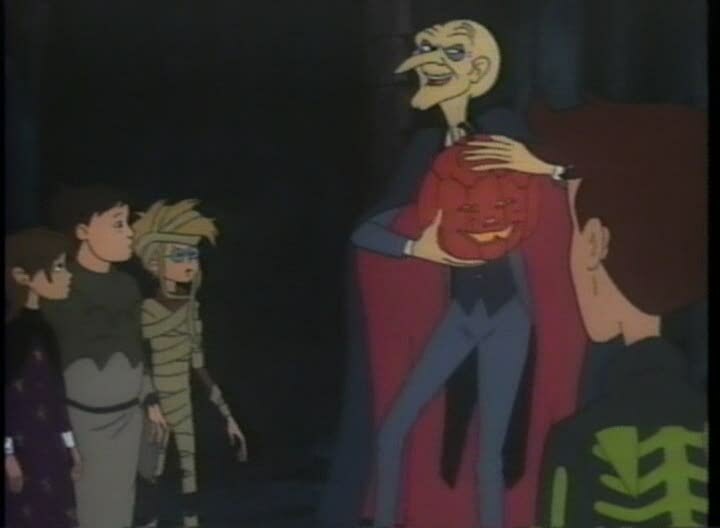 These kids do everything they can to save their friend Pip, by chasing his ghost holding a pumpkin that apparently has his soul in it? 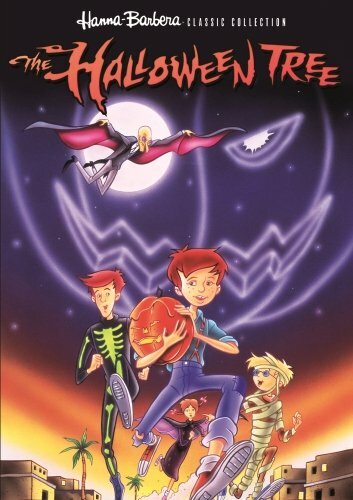 I don’t remember much about this movie, other than key elements about Halloween’s apparent history, and the fact that ghost Pip was kind of a jerk to his friends. I do remember enjoying it an awful lot though. It’s one of those movies that isn’t too scary, but gets you into the spirit. but that’s just a side-job. Something tells me that t-shirt is a little small. I didn’t watch this on tv. I found it at a video store as a kid, when I was looking for the next movie I’m going to mention on the list. I was really upset they didn’t have that one, and I’d spent an hour glaring at the shelves, until my mom finally gave me the ultimatum to pick something out, or face the horror of not getting anything at all. So I grabbed one of the new releases…this straight-to-video, low budget, not-too-promising cartoon movie. As it turns out, it was still pretty fun. The production quality isn’t too high, and the songs are just kind of…thrown in there? The monsters are like-able, though, and even the children-friendly ‘scary’ ones…well, at least it’s pretty obvious who they’re referencing. The best thing about this one, is that I can show it to just about any kid, and they’ll usually settle down to watch it. What really pushed this into the ‘good’ territory for me though, was the fact that…yeah, the guy is made of spaghetti and sauce, with silverware fingers…but he’s somehow still pretty creepy. I watched this movie so many times when I finally managed to get a copy, that my vcr actually ate the tape. A few years ago, I found the dvd for 5 dollars (along with that awful Frankenstein one), and I couldn’t have been happier. 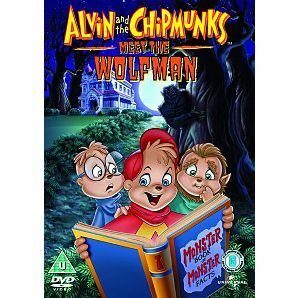 This movie has the atmosphere of a good Halloween flick, the classic tropes (gypsy, pentagram, silver wolf-cane), and Alvin. I refuse to shout that last part. Theodore gets bitten by a ‘dog’ and starts to gradually turn into a werewolf. It’s up to Simon and Alvin to save him from being hungry like the wolf, though he was honestly always a bit of a piggy. What really gets me, is that these are characters who’ve been the same for so long, it really took me by surprise that Theodore actually took on a different sort of personality here. 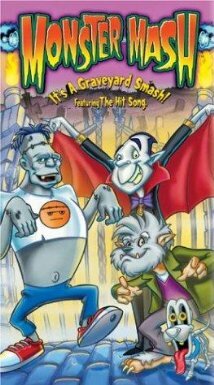 Ultimately, this is a great introduction film for kids into the style of the ‘Universal Monsters’, and it’s a really fun watch too. I’m sensing some resentment here. 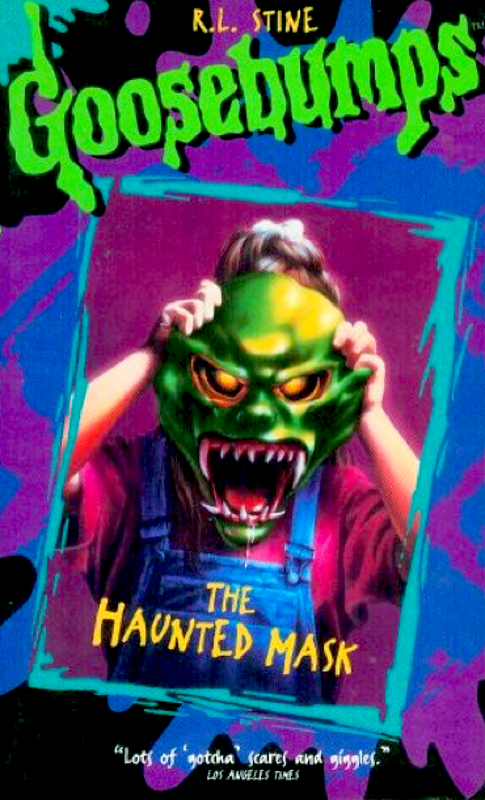 When Goosebumps came out, kids practically got into knife fights over getting their greedy little fingers on these books…though I may be exaggerating just a tiny bit. This was the first episode, or really…two-parter…to the television series. 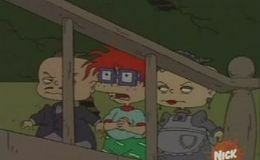 It was so scary, they actually gave it a TV-Y7…and though I was only six at the time, I willfully watched it anyway. The mask actually doesn’t look that scary. You can tell it’s rubber. 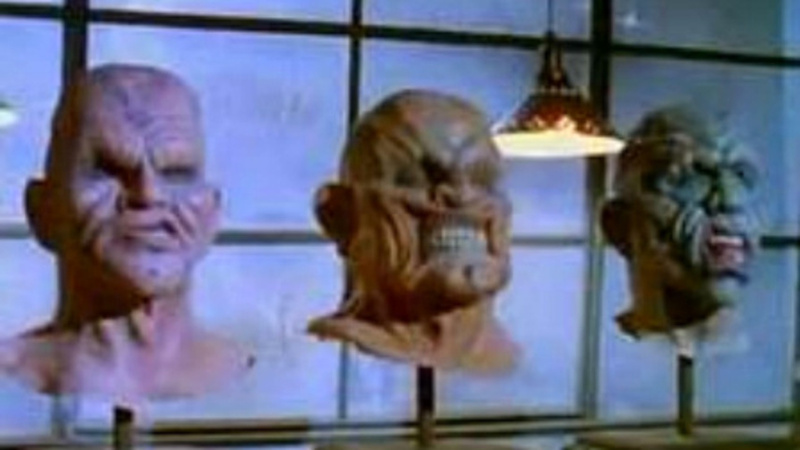 They more than make up for it, though, with a combination of three things: creepy guy who made them and gives ominous warnings, stupid girl with a creepier-looking sculpture of her own head, and the fact that the ugly mask merges with her own face until she can’t take it off. Goosebumps always managed to take it just a little bit further than Are You Afraid of the Dark, and often had pretty grim endings for a children’s series. 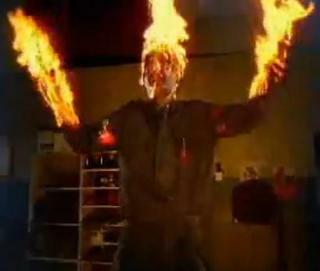 Hey guys, I was an extra on Hellraiser once! I hope this first of many lists and reviews has given you enough of a taste to compile a few films or episodes to watch this coming Halloween…about 5 months away…have a good night. Don’t let the bed bugs bite.